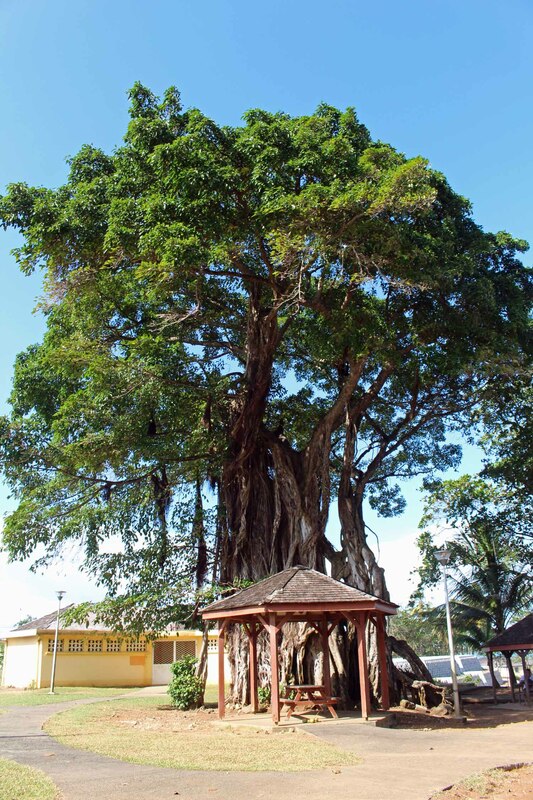 A banyan at Roseau beach. This family beach with grey sand is very well fitted out. The beach consists of small artificial coves.